How to design tools kit or socket sets? How to design the socket sets and tools kit? 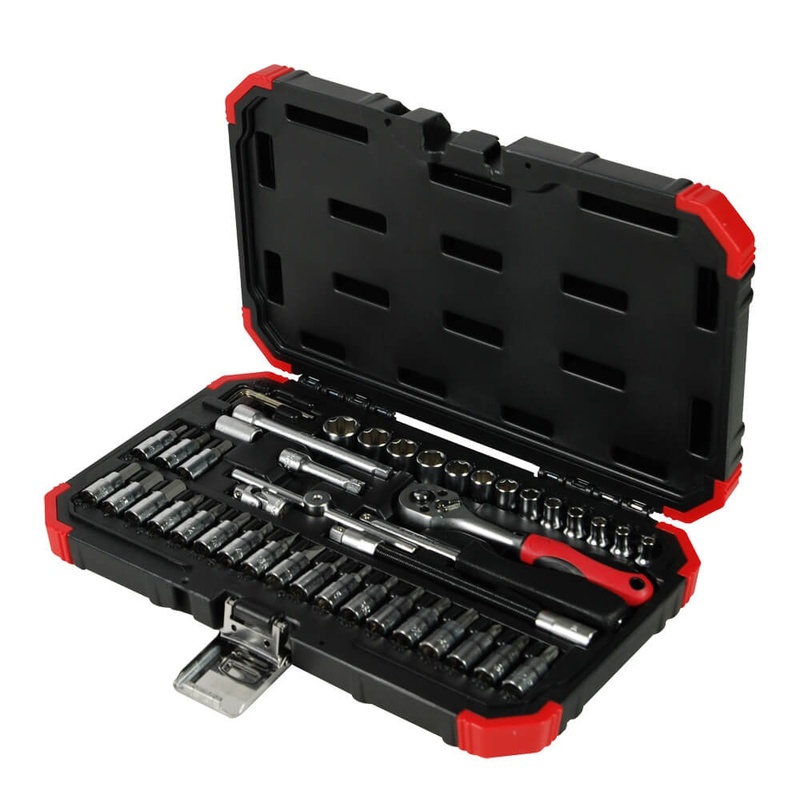 Thousands of tool sets are in the hardware shops or Amazon, but the price range is quite large from ten dollar for a 32 pc Set to thousands dollar for a 556 pc Set. How to design a market-favor tool set? Who is the target customer? What is the customer's background? These are the questions that Tien-I R&D Team will ask themselves before proceeding the design. Drive Hole Size have different design purpose. The bigger size, the higher torque, designed for heavy duty application in open space. In contrary, small driver hole size, the torque is smaller and mainly used in home improvement or delicate equipment. For example, one tool set has cover all size from 1/4” to 1/2” , which cover all functions, but the price is higher and the transportation is less convenient. Also the user may feel too many sizes they already got. 2) How many sockets is best number? Standard or deep socket? SAE (Inch) or MM (Metric) system? A tool set is labeled as how many components it contains. 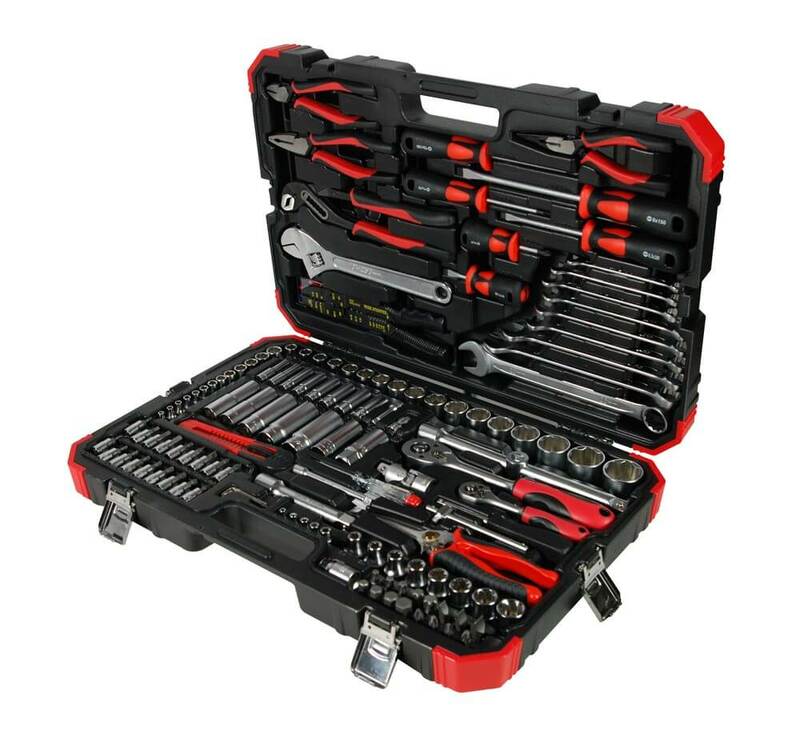 For example a 159 PC tool kit or 32 PC Socket Set. To DIY Home improvement, 32 PC Socket Set is enough, but definitely not for auto repair. Common sense, the more the better. But, it doesn’t work here. The number represents how many pieces of components. The number might include small less value piece such as bits. You should count how many piece of sockets wrench rather than all components. The more sockets means the complete size for end users. But it also means heavier, inconvenient to carry and less attractive price. Balance is the key. In addition, deep socket is necessary in some special equipment or machine repair. Pro user or professional mechanism must have. When tool kit have deep and regular sockets together, the deep ones usually are popular size since the deep hole nut or bolt are usually popular size either. Metric (MM) and SAE (INCH) are the two main systems in the tool market. Usually European and Asia go for Metric (MM). England, US. and Australia use both SAE (INCH) and Metric (MM). But it still depends on the specific target market. For example, professional auto shop may have SAE and Metric at the same time since they need to fix German car as well as US. Car. It is perfect to cover two systems, but back to the main question, how many socket/wrenches is best number? Quality ratchet brings good user experience. It is the fundamental for the socket set. 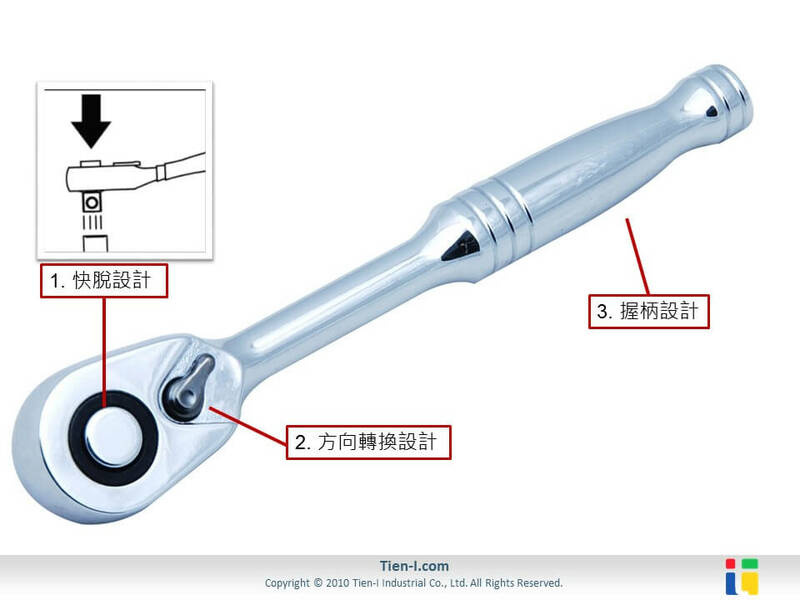 Basically, when the ratchet meet ANSI specification or DIN, the common user shouldn’t have any torque problem. 4) Bits, screwdriver or bit socket? Heavy user or light user? Where do you use tool? For what? The common one is screwdriver for most of home improvement, even some professional usage. The bits would be suitable for rare use or combine with some other accessory. If torque requirement is high, bit socket is good choice. Normally the tool set is designed to include the bits instead of screwdriver due to cost and utility. The screwdriver would be worthless if its tip wear out, but the bit can be replaceable. The bit socket is often used in repairing machine equipment or automobile with various length. 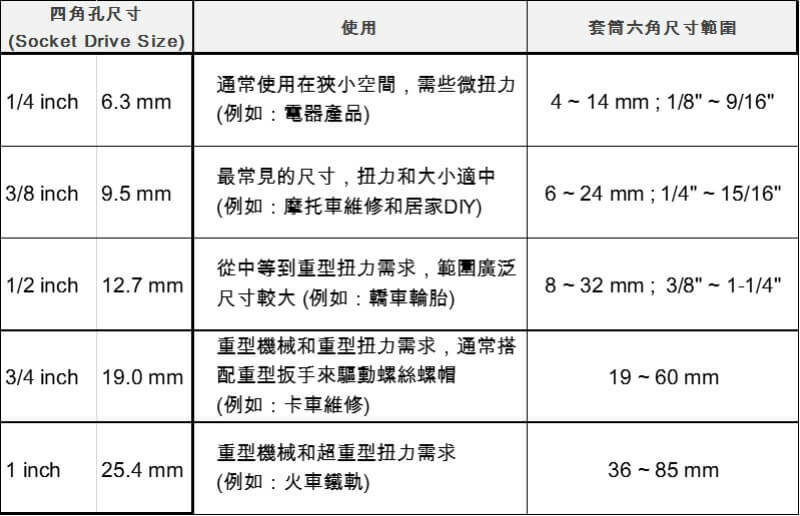 Philips, Pozi, Slot/Flat, Hex/Allen Key are the common size. It is quite common is every work space. 1) The tools or component is well gripped in the case, so that they resist strong impact but the user can still easily take them out. 2) The durability of plastic or alloy metal lock. The alloy metal clip lock is stronger and more durable than plastic one. 3) The connection between upper and down case part is whether plastic or metal. The metal can not only make the whole set more professional and sharp but also more durable. Tien-I's double color anti-impact design is the definition. Welcome to contact with Tien-I Team if you have interests with tool set or socket set design. Tien-I is the professioanl tool kit and socket set manufacturer in Taiwan.